Congratulations to all of our December giveaway winners! 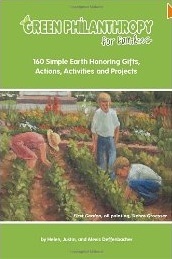 This was a combined giveaway of two inspiring products for families trying to “go green”: a three-month meal plan subscription from The Fresh Mode and the book Green Philanthropy for Families (160 Simple Earth Honoring Gifts, Actions, Activities and Projects). One lucky reader received both the book and the meal plan. Like The Fresh Mode on Facebook. Check out The Fresh Mode Blog. Follow The Fresh Mode on Twitter. This was a combined giveaway of products by two natural-minded companies for families who are conscious of what cosmetics they use: a set of Beauty Without Cruelty 16 fl oz Aromatherapy Hair Care Rosemary Mint Tea Tree Oil Shampoo and Conditioner, and a package of Tom’s of Maine products: Simply White Clean Mint Toothpaste, Wicked Fresh Cool Mountain Mint Mouthwash, and Women’s Long Lasting Deodorant Stick. One lucky reader received all five products. Tom’s of Maine on Facebook. Beauty Without Cruelty on Facebook. The Tom’s of Maine blog. Tom’s of Maine on Twitter. 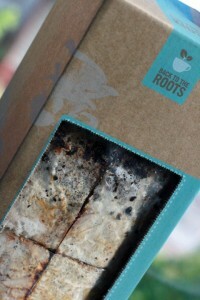 Check out the Back to the Roots blog. Follow Back to the Roots on Twitter. Like Back to the Roots on Facebook. This was a giveaway of a set of mama care products by LuSa Organics: Mama Massage Oil ($8.75), Belly Balm ($9.75), Cranky Pants Essential Oil Blend ($9.10), Lullaby Soap ($5.50), and Herbal Lip Balm ($3.35). 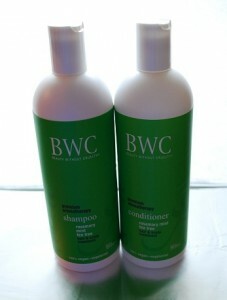 One lucky reader received all five products, making this giveaway’s total value $36.45! You can purchase your own LuSa Organics products by ordering directly from the website. Amazon also carries a variety of LuSa products. Rachel’s best selling products are her Baby Wipe Juice and Booty Balm. Like LuSa Organics on Facebook. Check out the LuSa Organics blog. Like Clean: The LuSa Organics Blog on Facebook. Parenting expert Elizabeth Pantley is back with her newest book, The No-Cry Picky Eater Solution. This book is designed to provide parents with ways to get their children of all ages to eat a healthy, balanced diet as often as possible without battles, threats, or tears. Elizabeth draws ideas from her readers around the world for getting children to eat nutritious food. She then had hundreds of parents test the ideas, so you can trust that one of these solutions that fits your situation best will work for you too. With Elizabeth’s advice, you can help your fussy eater have nutritious meals and bring peace back to the dining table. 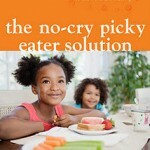 You can purchase your own copy of the No- Cry Picky Eater Solution through Amazon. Like Elizabeth Pantley on Facebook. Read more about Elizabeth Pantley on her website.